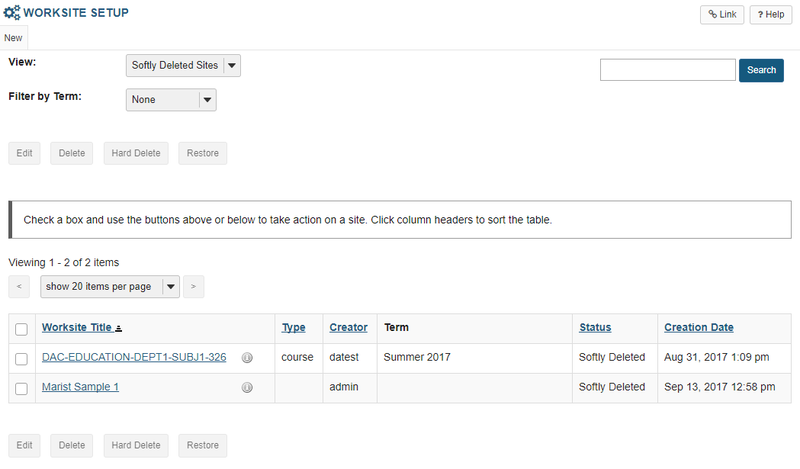 Sakai Community DocumentationSakai 12 Administrator Guide (English) Worksite SetupHow do I restore a softly deleted site? Select the Worksite Setup tool from the Tool Menu. From the View drop-down menu, select Softly Deleted Sites. Zoom: From the View drop-down menu, select Softly Deleted Sites. All sites marked for deletion will be displayed. Zoom: All sites marked for deletion will be displayed. Select the site you want to restore, then click Restore. Zoom: Select the site you want to restore, then click Restore. 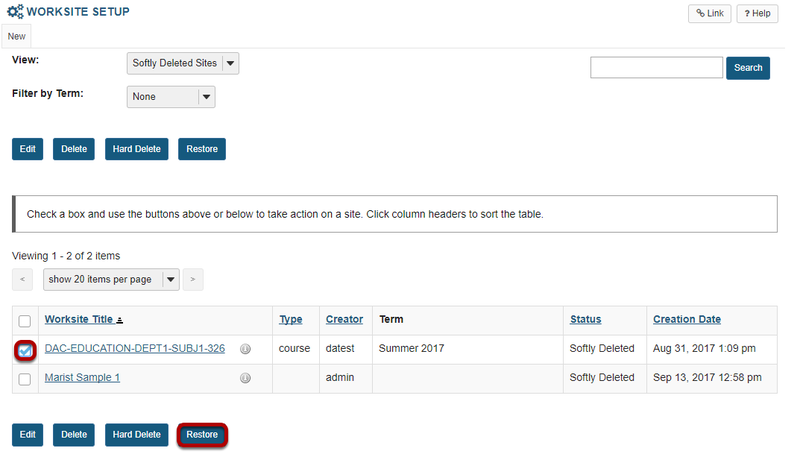 Prev: How do I Soft Delete a site from Worksite Setup? Next: How do I Hard Delete a site?